Looks like we won't be seeing Dbanj's son in a long time to come, as he is still not tired of hiding him from his fans. 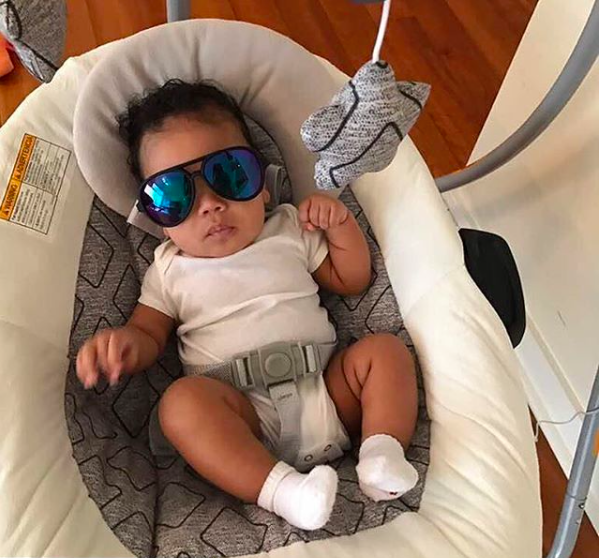 The Nigerian singer who welcomed a baby boy, Daniel Oyebanjo, back in May took to Instagarm to share a cute photo of the 3 month old boy. But sadly, we still can't see the cute face of Daniel. The Koko master decided to cover little Daniel's eyes with the biggest shades ever. Lol! Recall that the singer and his wife Lineo Didi Kilgrow welcomed Daniel in the States in May after wedding secretly. He has continued to keep his marriage hidden away from the prying eyes of the public.